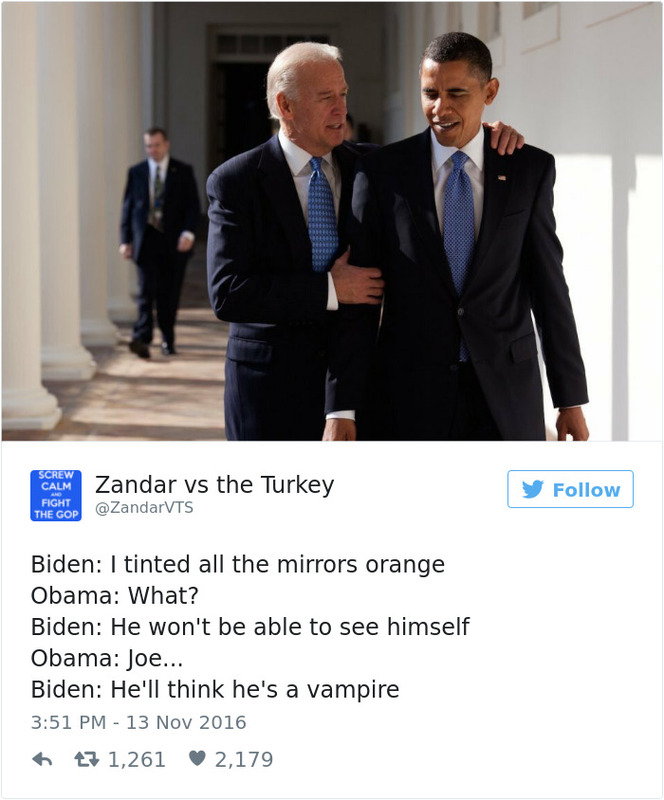 Donald Trump and Mike Pence will quickly be moving into the White House, however as you can see from these funny fictional discussions in between Barack Obama and Joe Biden, the existing Vice President actually isn’t really too pleased about it. Whether preparing to punch the inbound president, outlining to strike him with a football, proposing painting a Mexican flag in the White House, or attempting to consume all the ice-cream prior to The Donald shows up, it appears like Joe isn’t really going to go silently. Always remember to elect the very best!